I am back with another polish haul from ShopLately. These were new to the site since I last visited it so I figured why not check it out. I found these in the store named Always Fits, they carry a lot of colors of Knocked Up Nails polish as well as many many other things. Knocked Up Nails retails for $10 each from the Always Fits storefront on ShopLately and is supposed to be Big 5 free which makes it, from what I hear, safe for pregnant women (The store also says it's vegan and gluten free). Now, no I am not pregnant, but that won't stop me from trying out some new polish!!! The two colors I purchased were Little Lilac Lovie, because...come on you guys, it's purple!!! 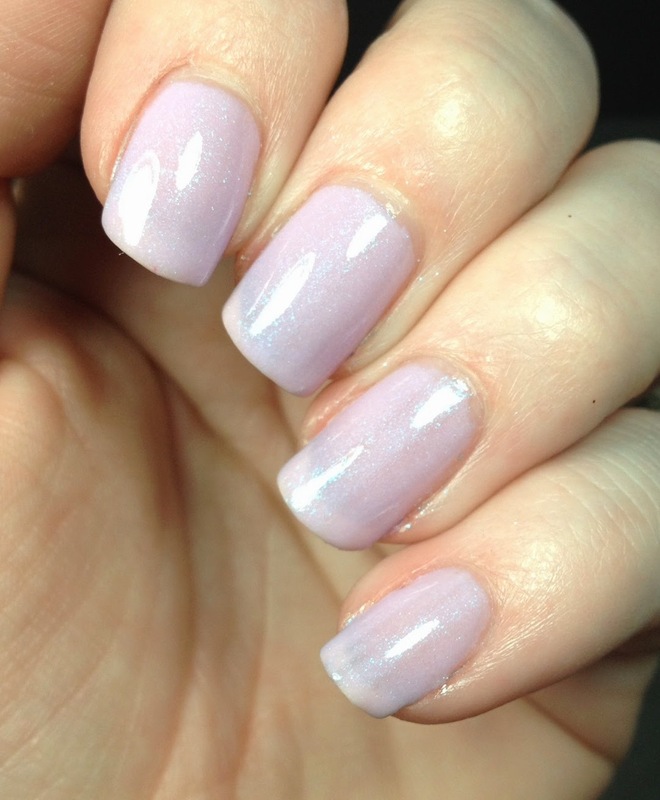 The swatch photo made it look like the prettiest lilac with some shimmer in it. The other one was I Earned A Little Blue Box, which is a Tiffany-esque blue. First up I will show you Little Lilac Lovie. This is a very pretty light purple. There is a lot of shimmer to it, and it actually transferred in the picture. BUT, it is very very sheer. I think this is about three coats of this all on it's own. In addition to this, my brush had become unattached from the cap and I couldn't get it back on. So I just held the brush and painted. I probably should have used undies of some sort to make it more opaque, but I actually liked how nice and sheer it was on my nails. The formula itself was fine, and it was nobody's fault the brush became unattached (I have had it happen before). I did send a note to the shop owners to let them know to check their bottles just in case my was not an isolated incident. This is over Duri Rejuvacote and topped with Glisten and Glow HK Girl. This is I Earned A Little Blue Box. Reminiscent of the boxes and bags you get from a certain jewelry store. it's not a dupe but it's pretty close. 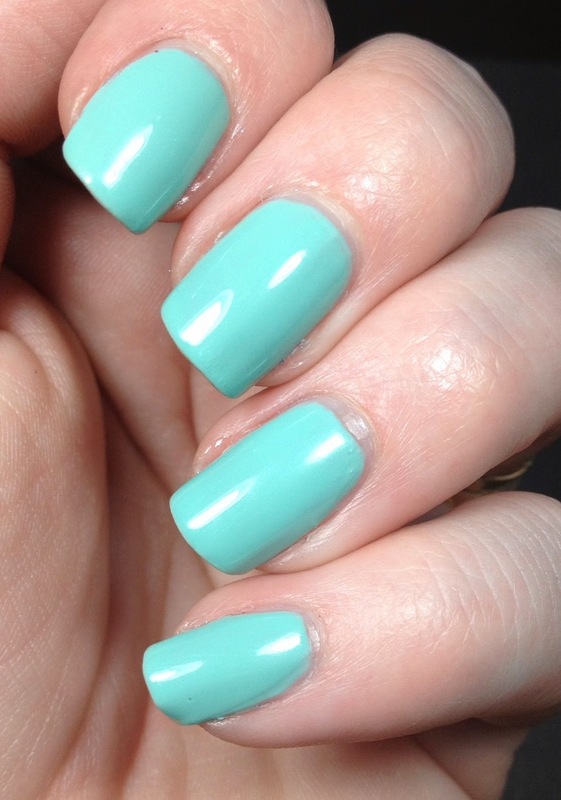 This is a beautiful turquoise creme polish and was fully opaque in two coats. Zero problems with the polish or the brush and cap. This was my favorite of the two, even though deep down I am a purple loving girl. I am happy with these polishes, unsure if I would repurchase because of the price tag, but they are good selections. Both are lovely shades you picked up! 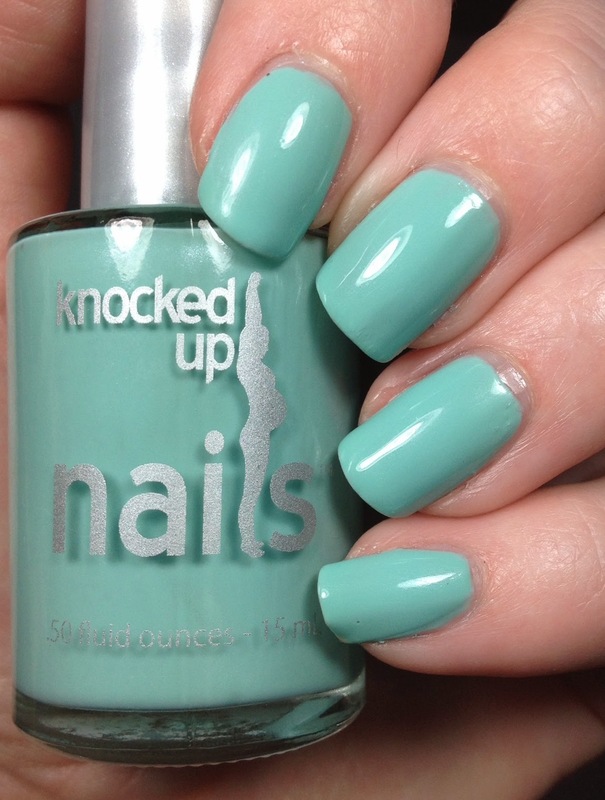 I love the turquoise shade!